As I patiently await the day my hair reaches prime length (it's been almost a full year since my last hair cut - yikes) I've been more into my hair care routine than ever before. 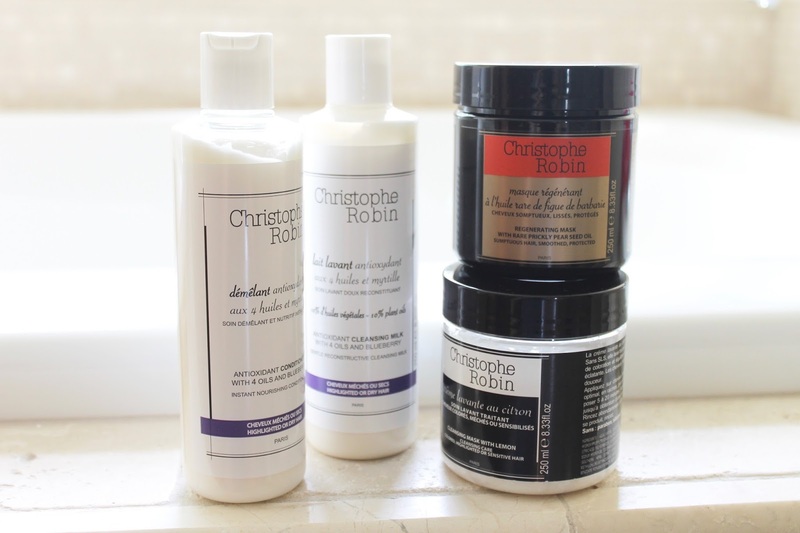 I've always had a few standby hair products that I repurchase, but over the past year I've become a big fan of the cult Parisian haircare line developed by Catherine Deneuve's hairstylist, Christophe Robin. The range is focused on using nature-derived ingredients (like prickly pear seed oil, rose water, lemon, and lavender) all while protecting the integrity of a woman's hair color. While I don't dye my roots, I do have a bit of color through the mid-lengths that I like to protect while keeping my hair healthy and nourished so it can grow longer. These products have been doing just that...and more. Christophe Robin Antioxidant Cleansing Milk - This reconstructive cleansing milk contains 10% plant oils and blueberry to help strengthen and cleanse the hair. I have never used another shampoo like this before, and love how the milky formula foams gently without stripping hair of it's natural oils so that it remains perfectly balanced. The fresh scent is incredible, but I was most impressed with how soft and bouncy my hair felt afterward - this is a new must-have in my routine. 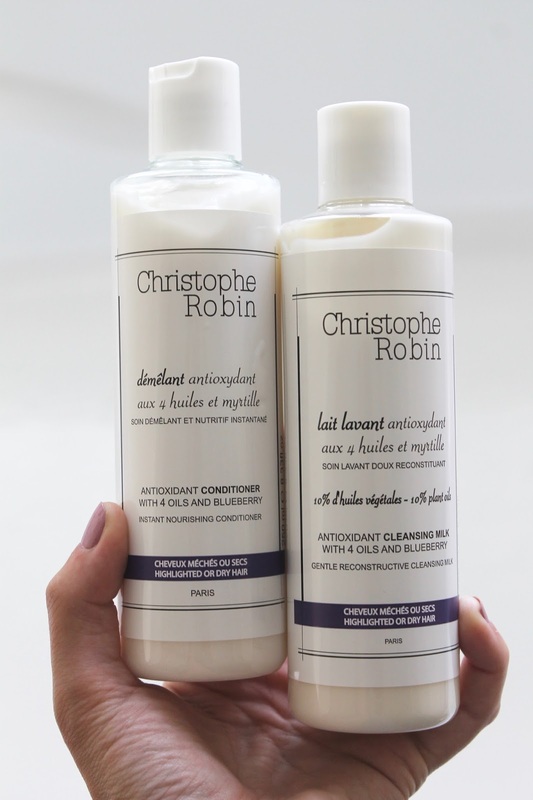 Christophe Robin Antioxidant Conditioner - This nourishing conditioner contains 2% plant oils, detangles hair, and brightens highlights without weighing the hair down. I love that this doesn't over-moisturize my hair, so it leaves it with much more volume than I typically get with other conditioners. The Antioxidant Conditioner can be left in for just a moment before rinsing; so there's no leave-in time necessary for optimal results. Who doesn't love to save a little time and still be left with amazing hair? Christophe Robin Regenerating Mask - This cult mask is so for a reason. Even after one application I noticed my damaged ends looked healthier, more smoothed, and much more moisturized. My hair is also difficult to please with masks because with too much moisture, it becomes flat and dull. This one contains rare prickly pear seed oil to help protect and repair damage (it's rich in Vitamin E), and it's creamy formula sinks into hair completely so that you're left with lightweight, shiny hair, and a protective antioxidant barrier that prevents further damage. 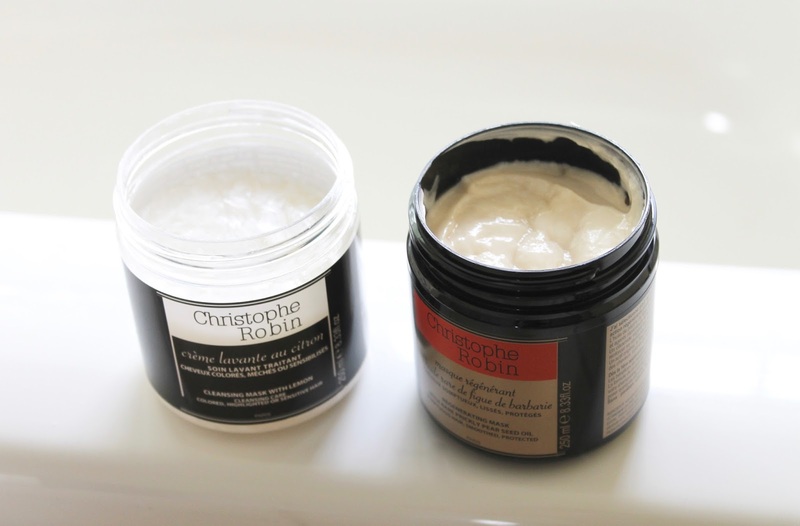 Christophe Robin Cleansing Mask with Lemon - I've spoken about this in a previous post, but the longer I use it, the more I come to love this product. I use this to banish product buildup and give my hair a deep cleanse about once a week. This lemon-scented foaming mask is safe for all chemically treated hair types and boosts volume in my heavy locks like nothing else. I love that, unlike with moisturizing hair masks, this one can be left on longer for a deeper clean...and rinses away in a foamy lather leaving your hair bouncier, shinier, and with a fresh start for styling. What's your go-to hair cleansing routine?